Explanations, examples, little facts and little descriptions. There are many different kinds of sheep, literally hundreds, some are listed below, and within these families are sub families. 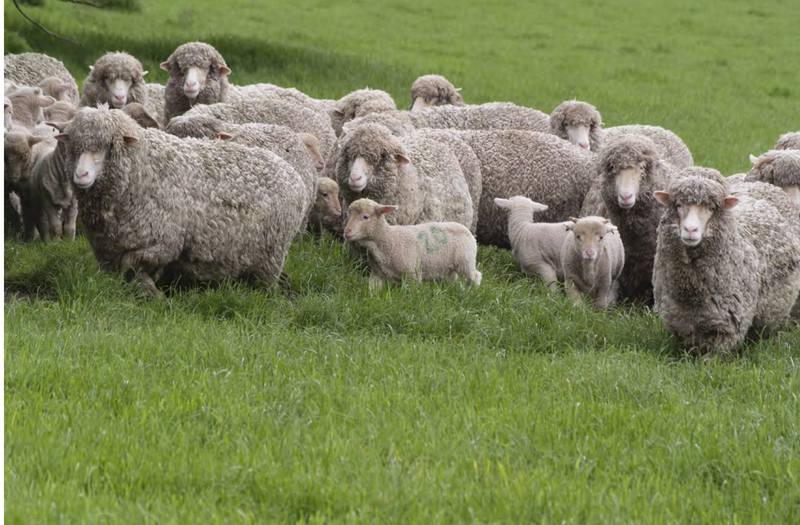 Our fabrics are made mainly from Australian and New Zealand Merino Sheep. The Merino breed of sheep originated in Spain and the wool is noted for its fineness and whiteness. It was confined to Spain until the late 1700’s when Merino Sheep were exported to, and bred in, many other countries notably Australia and New Zealand that is where most of our sheep come from. Our group buys over 1,500,000 lbs. of wool annually, ranging from the finest in the world at around 11.2 through to the ultra-fines and 20.5 micron. 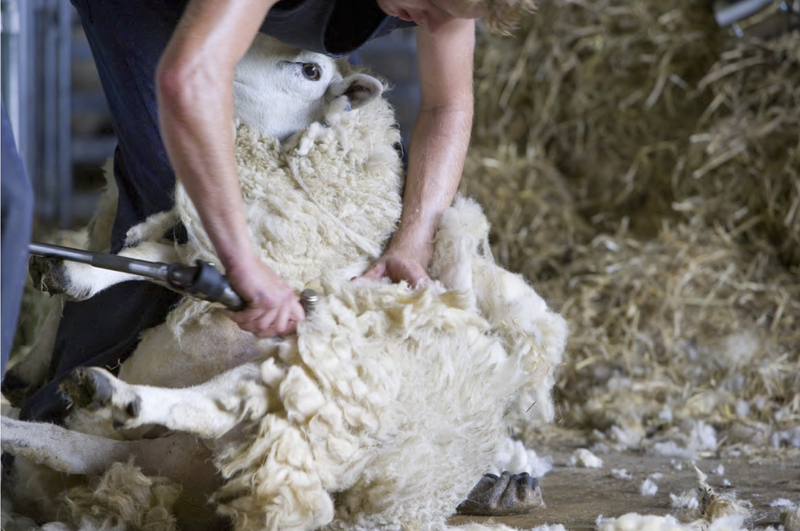 Whilst the Merino provides a beautiful fleece it needs to be gently sheared to remove the fleece from the animal. An average fleece weight is about 8 lbs. greasy. All cloths have four core foundations which they are built on. The weave, yarn structure and sett will determine the weight. As mentioned previously, micron is one of the characteristics, and we buy from 11.2 through to 20.5 for our clothing needs. By comparison, a ladies hair when fine will be about 38 micron approximately 2 to 3 times thicker than our finest wool. Theoretically, the finer the wool micron the finer the yarn can be spun, and subsequently the lighter the cloth, if weave and structure are equal. However a basis of a good to great cloth is both its feel and look, combined with the ability of cloth to be beautifully sewn, finer is not necessarily better. So spinning the yarn to ensure the cloth has the ability to be perfectly tailored is paramount. A typical worsted yarn is made from long lustrous wool from which the short fibers are removed by combing. All the processes tend to straighten the fibers which do not vary in length that much and are laid as straight and parallel as possible before spinning and imparting twist. The thread is smooth and lustrous, open in structure and even in thickness. End use: Suits, trousers, light jackets. A cloth produced with worsted yarns, typically suiting’s trousers and dress jackets. The cloth is light in weight and has a luster. A cloth produced with woollen yarns, typically coatings, country jackets, tweed jackets. The cloth is heavier in weight and has a lofty volume. 18 Typical Royal Classic Cloth 824707 Blue Sharkskin Weave is 2/2 twill A typical Royal Classic cloth has the following in one suit length, 6404 ends (vertical threads) x 4 yards long. 92 picks per inch in the horizontal x 4 yards The vertical is warp, horizontal is weft. Total warp is 6404 x 4 = 25,616 yards of thread. Total weft is 4yard x 36 inches x 95 x 67 inch wide in loom = 25,460yards of thread Total thread for 1 suit = 51,076 yards Total fibers = 817,216 individual fiber’s give or take a few. The black square represents the vertical end passing over the horizontal end; the white square represents the vertical end passing under the vertical end. On the following sheets are a simple template that shows our perennial fabrics, in range groups including wool quality, descriptions, suitable end uses and client relationships. Client relationships relate to frequency of wear, suitability for sizes, notable benefits of the cloth. There are exceptions to all of these with every individual and it is only a guide.